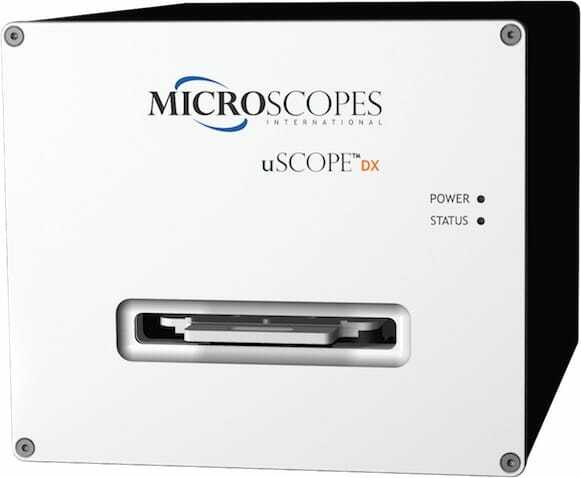 uScopeDX-2040 (20x/40x Objective) Digital Microscope and Whole Slide Scanner :: Microscopes Intl. This uScope model is suited to applications where scan speed, high depth of field, and high NA and image resolution are required. 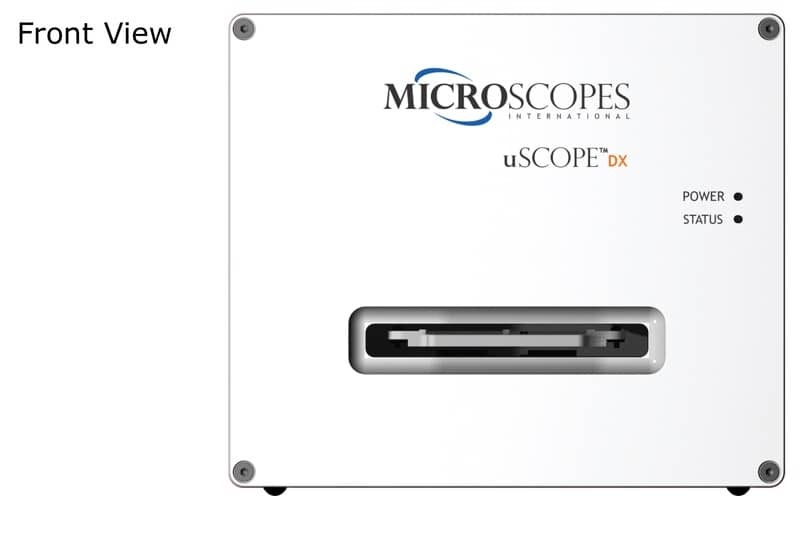 The uScopeDX-2040 is suitable for scanning tissue samples are moderately thick, although flatter samples and smears autofocus and scan faster. This unit is able to produce very high-quality images while browsing or scanning an area of interest. The industry-standard USB interface makes the uScopeDX easy to plug in and start scanning slides. It easily interfaces with a Windows PC and allows you to view and capture slide images in a wide variety of environments. 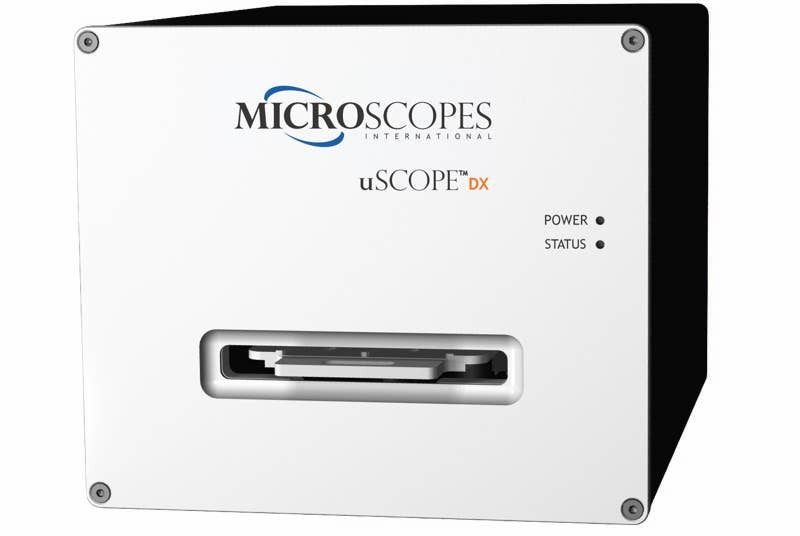 The uScopeDX digital microscope is a single unit that can browse or scan your prepared glass slides. 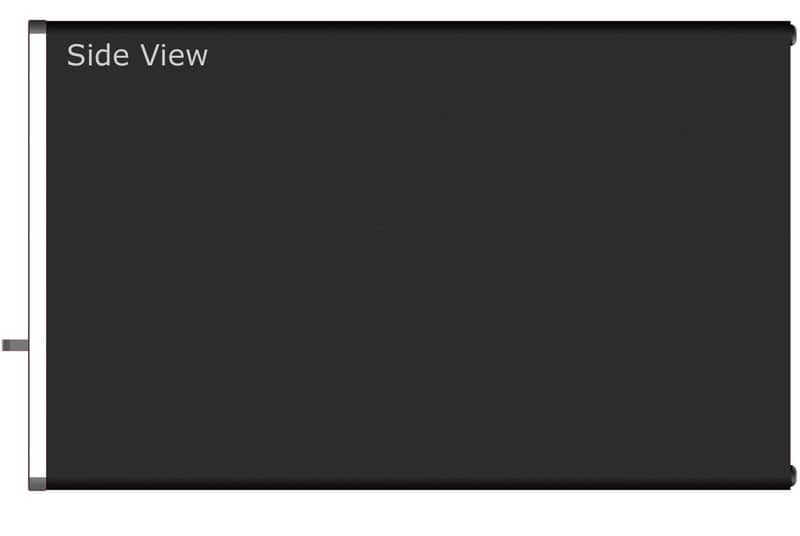 It is completely self-contained and requires only a Windows PC to scan or browse slides. The uScope Navigator application software enables you to easily capture single images or scan areas of interest. 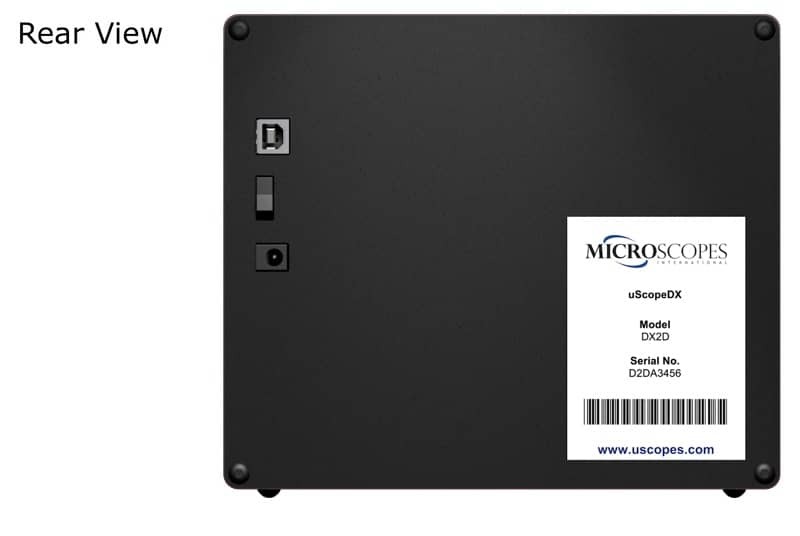 Each uScopeDX is warranted for a period of one (1) year from the date of purchase.